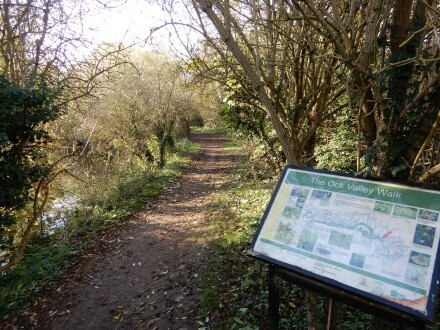 I don’t know why Barnardo’s don’t get a mention on the information boards, but I have read that in 1974 Bardardo’s gave a strip of land at the town end to Abingdon Town Council to help create the Ock Valley Walk. 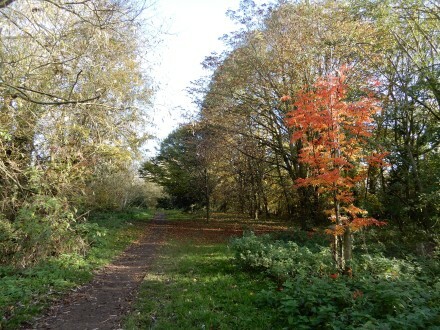 The Vale District Council owned the adjoining land which allowed the footpath we now know from St Helen’s Court to Drayton Road. Caldecott House was a Dr Barnardo’s home, housing about 35 boys and girls between 1952 and 1971, and about 35 boys from 1945 to 1952 so the strip of land was left over after the sale of the house, which was demolished to create the St Amand Drive Estate. Barnardo’s still have a Charity Shop in Abingdon at Peachcroft; and run after school and holiday clubs at Kingfisher School. They could also still run the Summerfield Resource Centre on the Wootton Road. 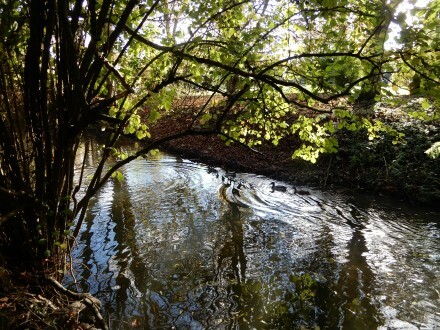 There are some memories online written the Barnardos kids, but few of them mention the Wilderness, a moated area to the west of the former Caldecott House – and which can (just) be seen from the Ock Valley Walk. If any readers of this do have stories it would be great to see them, please.